Affordable goody bag gift for any tournament! Give your participants a feel for the game. If you’re looking for an valuable addition to your tournament priced for around $5, Gorilla Gold will not only be appreciated, you’ll be introducing your players to a game-changing accessory that they’ll never forget. 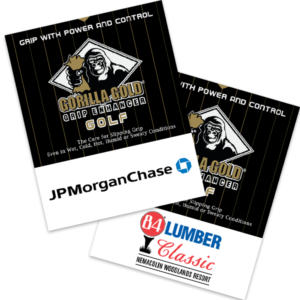 The Gorilla Gold package can be customized with your logo or the tournament name.